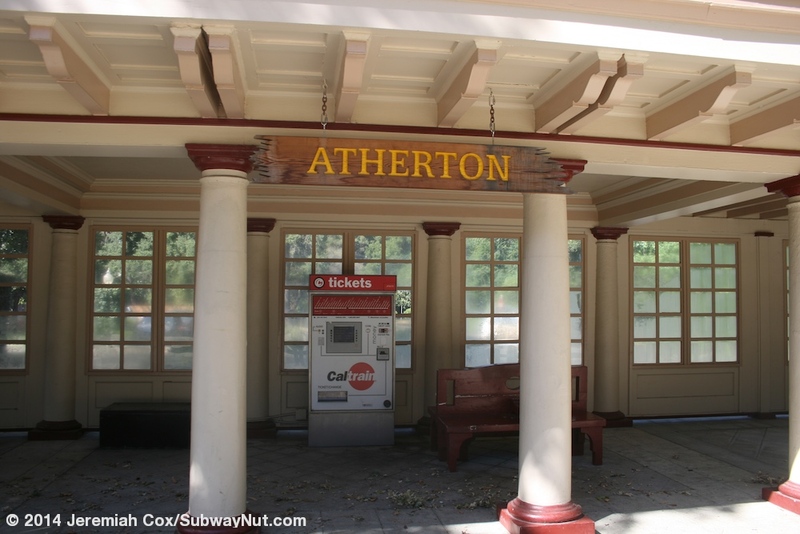 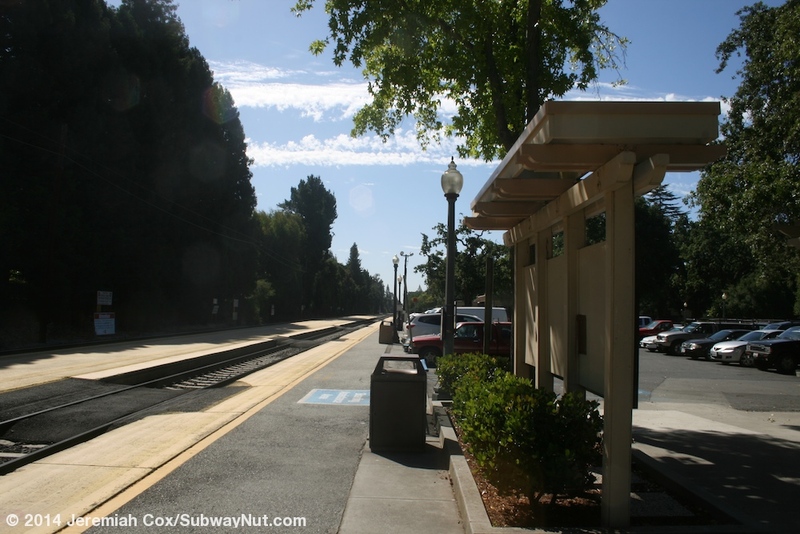 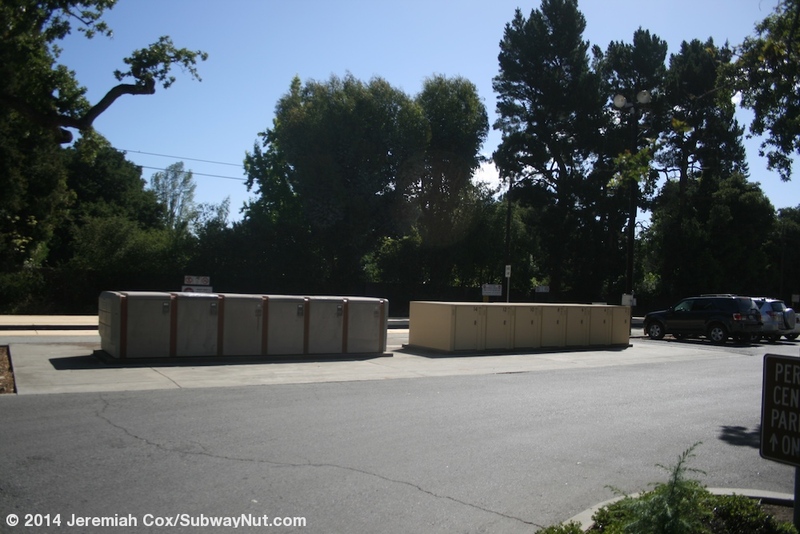 Atherton is a hold-out station with trains stopping only on weekends since August 1, 2005. 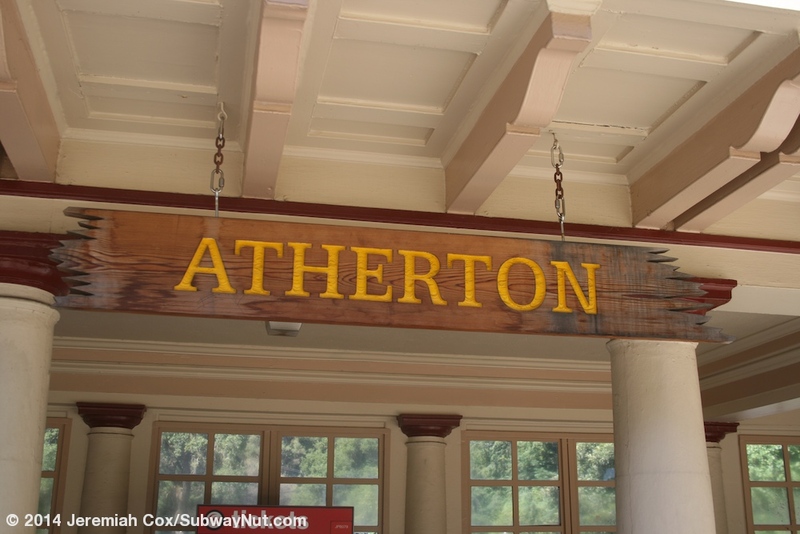 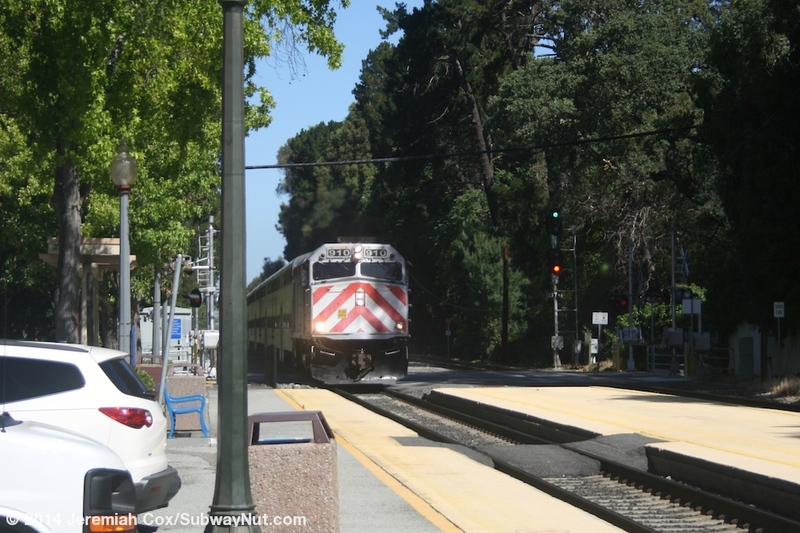 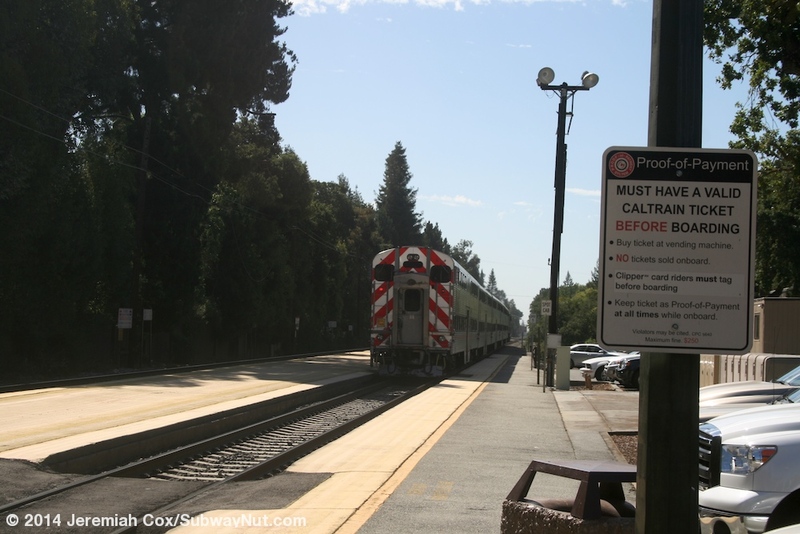 The reason for the service discontinuation is to have more express service and not have trains stopping in Atherton (at least in the San Francisco direction) not block both tracks preventing all San Jose-bound service from passing through the station. 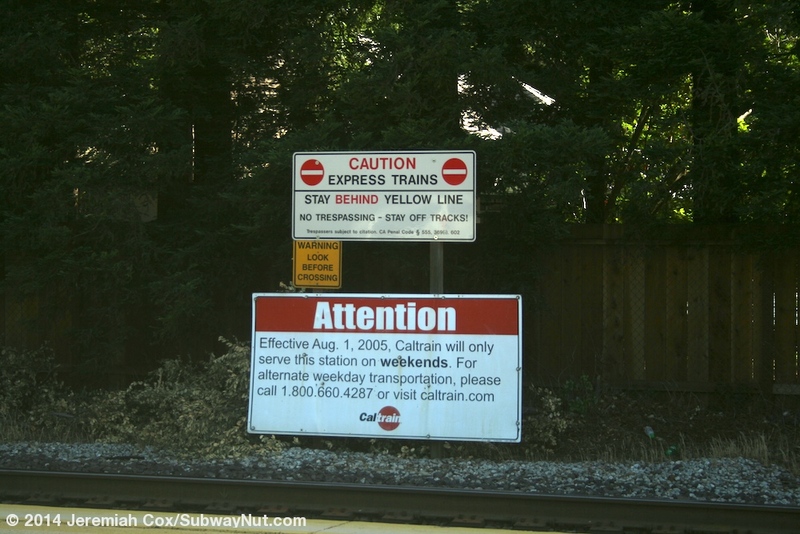 The introduction of Baby Bullet Express service was the main impedes. 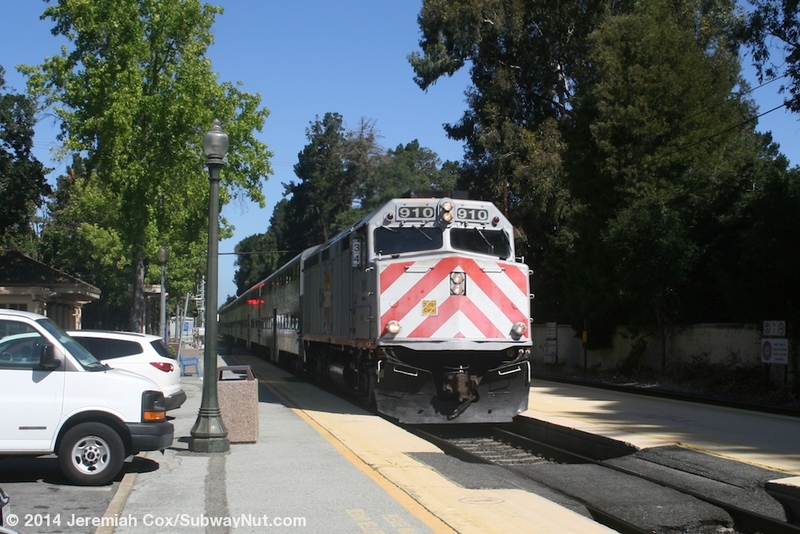 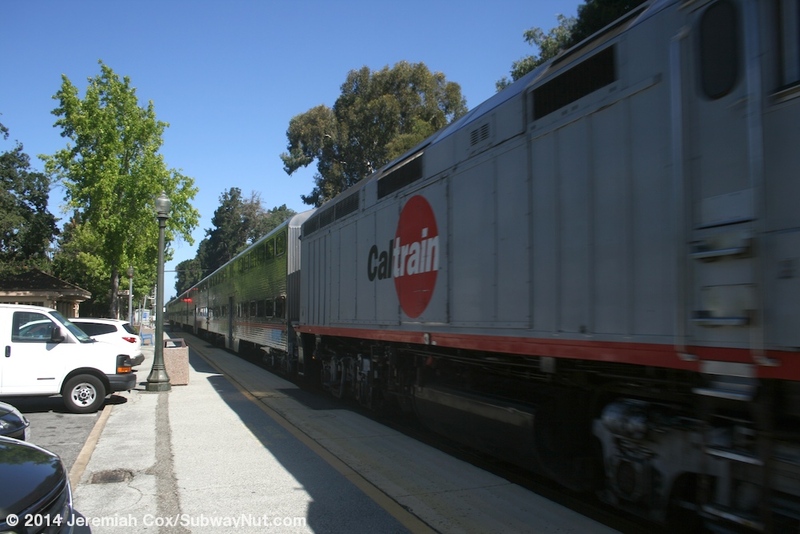 Caltrain has been trying to build a new side platform for San Francisco-bound trains but is unable to reach an agreement with local officials. 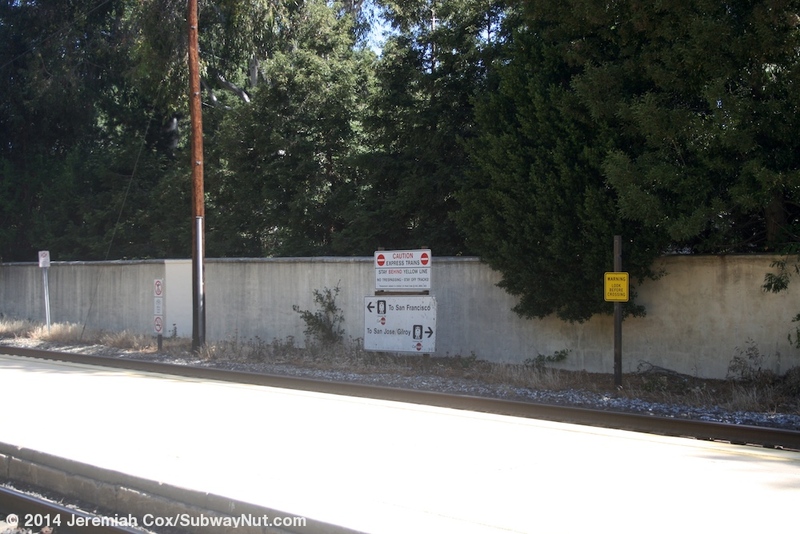 NIMBYism also probably plays a role with a line of trees along the San Francisco-bound track separating it from the backyards of large homes. 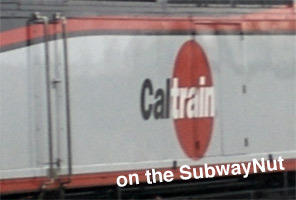 Shuttle service was provided during weekday rush hours to Redwood City to replace train service but low ridership resulted it its discontinuation on July 1, 2007. 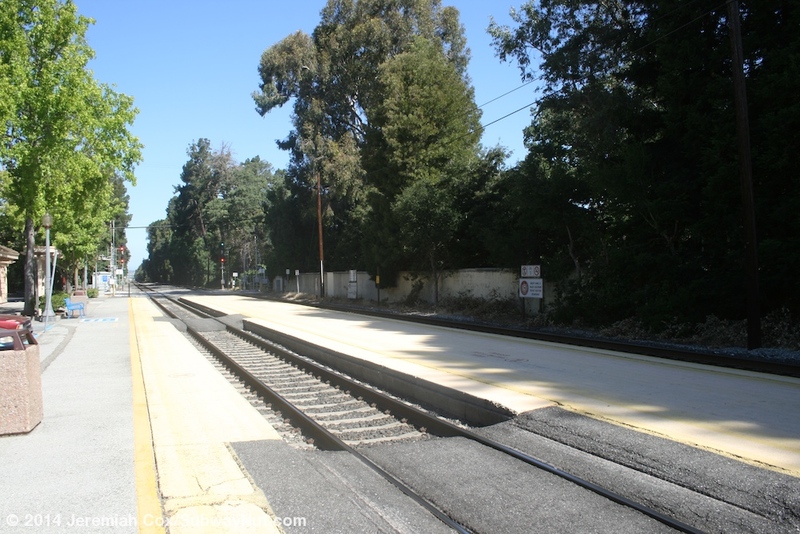 The station begins at the grade crossing of Fair Oaks Lane and runs southeast. 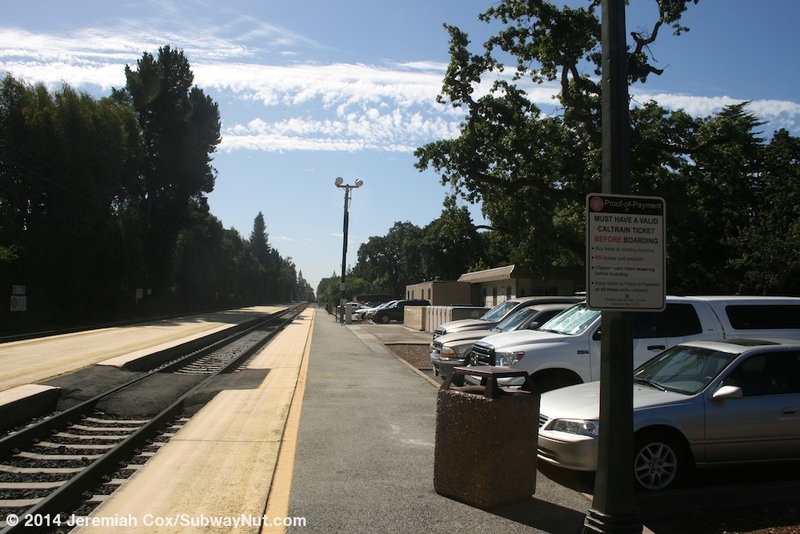 It consists of a side platform along the San Jose-bound track with pedestrian crossings to a quite large boarding area between the tracks for San Francisco-bound trains. 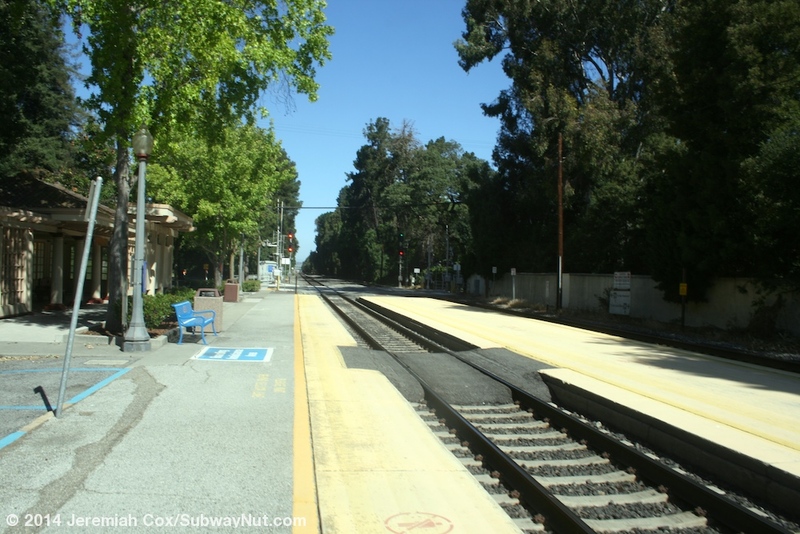 The boarding area and edge of the side platform is simply painted yellow. 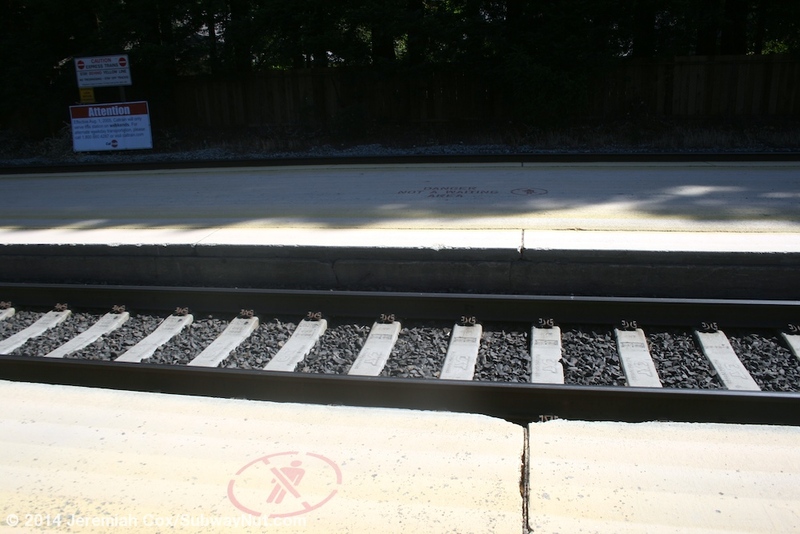 There are no tactile warning strips. 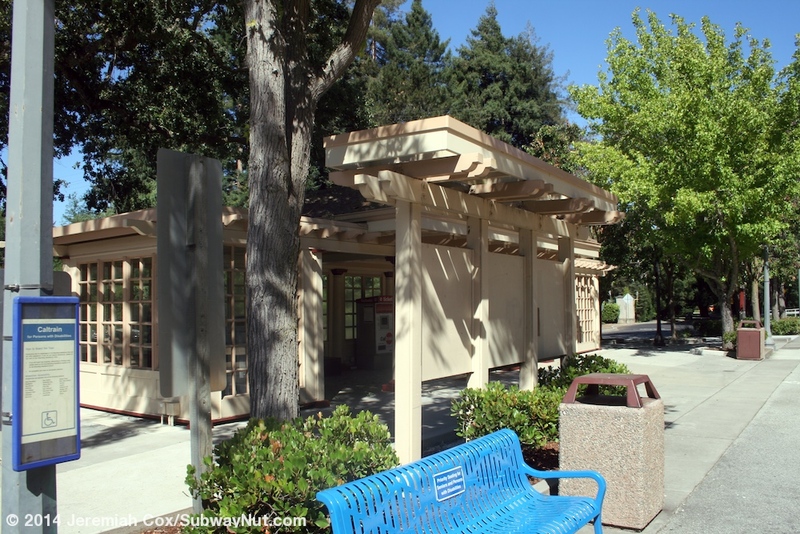 The station isn't ADA compliant. 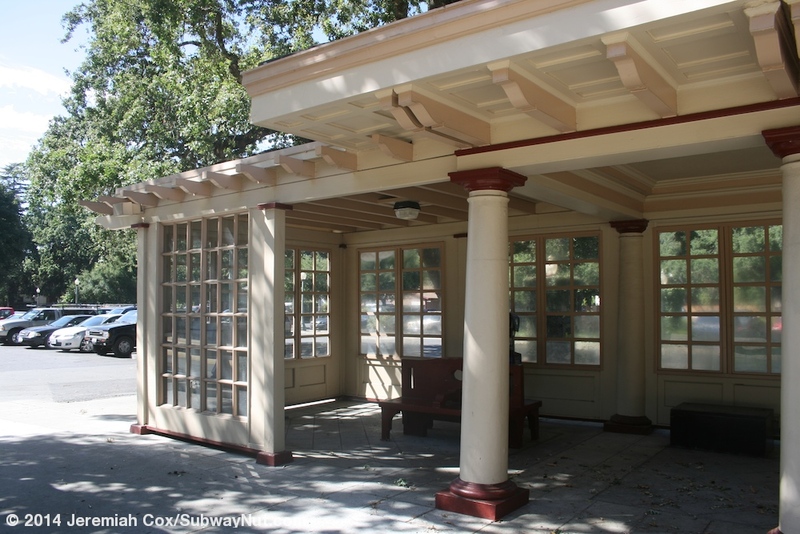 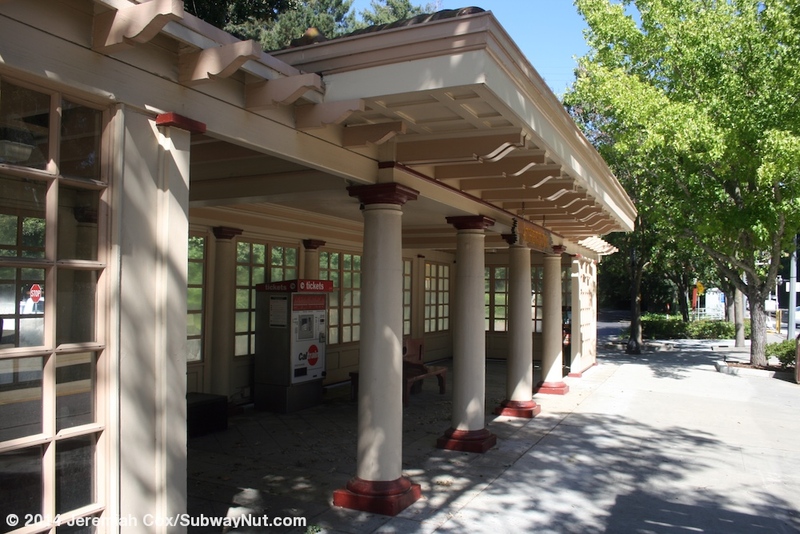 For waiting passengers there is a large shelter with light brown and cream walls, casement windows on three sides and columns on the platform side. 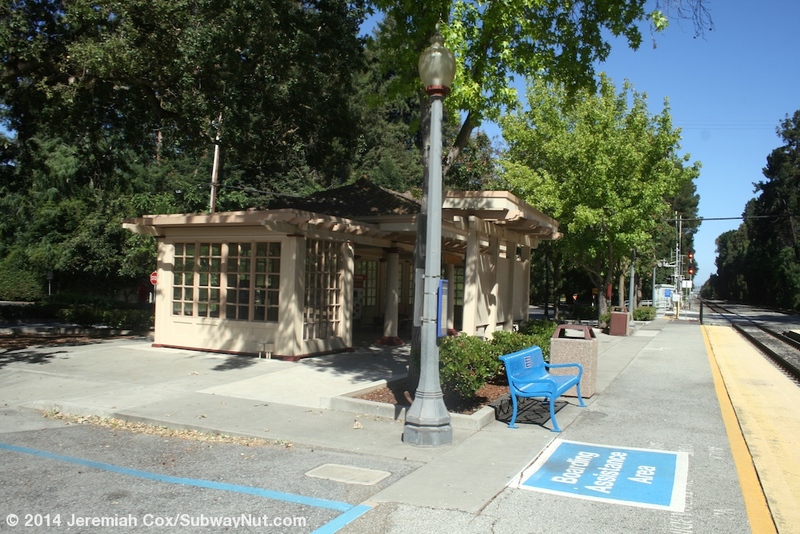 Inside are a couple wooden benches and the station's TVM and Clipper Card reader. 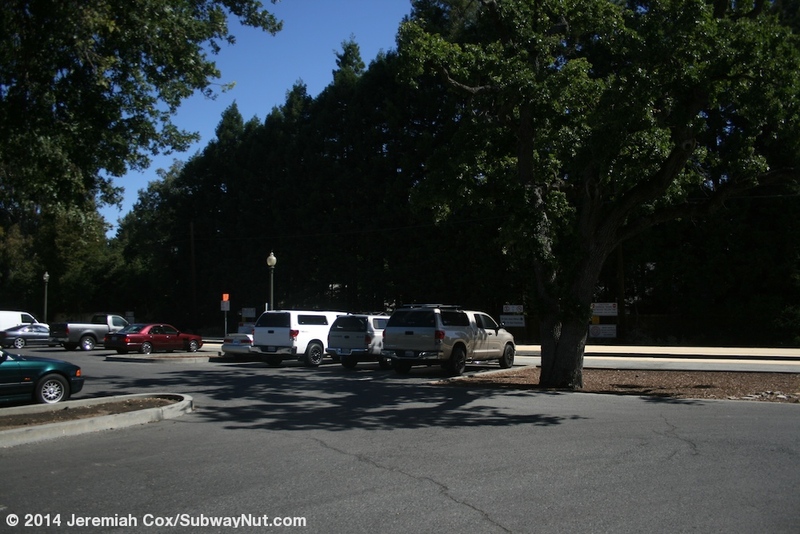 Parking is around here with 96 spaces, passing through the parking lot is Dinkelspiel Station Lane. 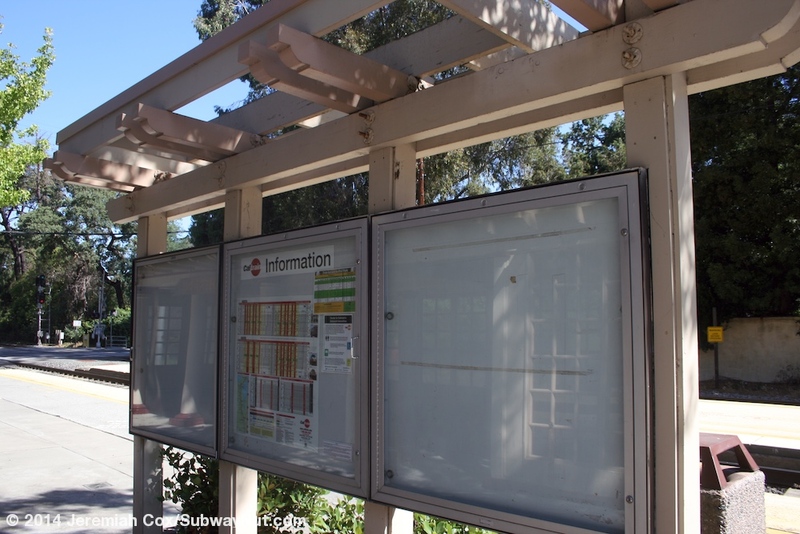 Also along the platform are 12 cream colored bike boxes, I assume installed before 2005 and now are most likely completely unused since train service is weekends only.